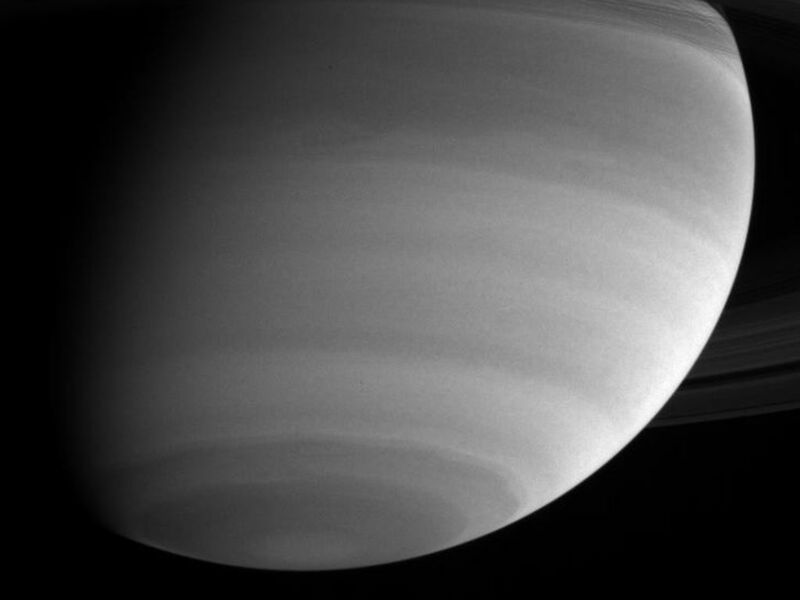 With ultraviolet eyes, Cassini gazes at cloud bands and wavy structures in Saturn's southern hemisphere. In the ultraviolet, the gaseous part of the atmosphere is bright and high clouds and aerosols tend to be dark. The Cassini spacecraft narrow angle camera took the image on May 15, 2004, from a distance of 24.7 million kilometers (15.4 million miles) from Saturn through a filter centered at 298 nanometers. 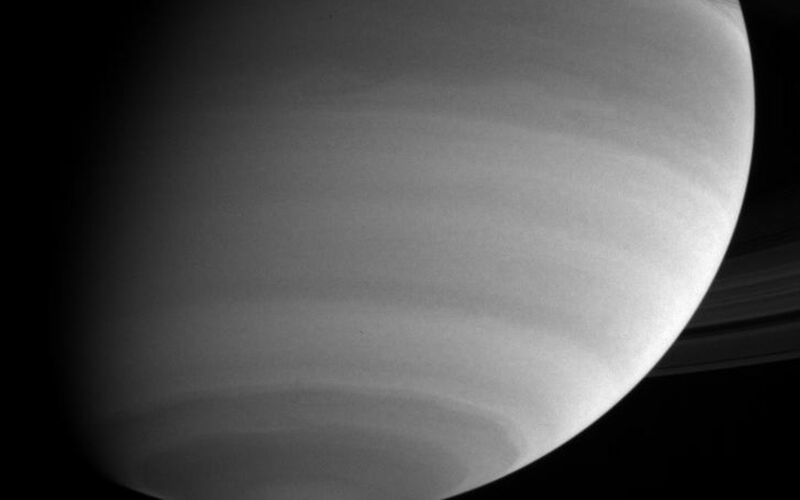 The image scale is 147 kilometers (91 miles) per pixel. Contrast in the image was enhanced to aid visibility.